The Fujitsu Flashwave 7410 is a managed wavelength platform designed to provide a low-cast, carrier-class path to help you optimize high-speed voice, data and storage applications, as well as converge multiple solutions when needed. Fujitsu’s Flashwave 7410 is a robust tool to help you make the most of existing space in your locations and satellites as well as ensure customers have the right service they need and demand on their sites. 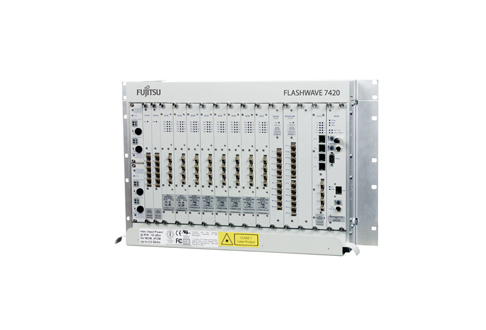 Worldwide Supply provides new and refurbished Fujitsu Flashwave 7410 models, because the platform provides a variety of interface cards and speeds to meet the demands of many different network deployments. The hardware supports point-to-point and point-to-multipoint network topologies. Its eight-channel CWDM option allows you to have eight separate data streams economically carried on a single fiber pair, supporting your service delivery for new and smaller clients. Customers tell us that the Fujitsu Flashwave 7410 can reduce headaches by simplifying network element management and service delivery controls, even in areas where they’re operating across legacy infrastructure. We like to take that relief a step further by offering tested, proven refurbished Fujitsu Flashwave 7410s that deliver the same exceptional quality but at a significant reduction compared to OEM pricing. It’s our way of protecting your revenue so you can expand and grow it.